A GSM network connection makes it possible to initiate and receive VoIP and GSM mobile calls. This connection type offers an excellent alternative to a PSTN (Public Switched Telephone Network) network. GSM network connectivity has great potential, especially for making IP-to-GSM phone calls. For connecting your VoIP network and the GSM network, you can use a stable GSM Gateway. GSM Gateways are basically mobile devices that connect to your PBX and enable you to make calls from your phone system using the mobile network. It is an ideal solution for mobile phone roaming via the VoIP network or when the PSTN network is not available. Since the GSM Gateway allows direct routing between the VoIP network and the mobile network, GSM voice calls and SMS messaging become available with this connection. 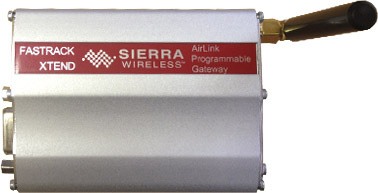 Sierra Wireless GSM modem is a recommended GSM device to setup a GSM network connection. This device ensures a stable and powerful GSM connection.